Are You Asking the Right Questions In Your Search For a Therapist? 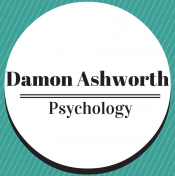 Posted byDr Damon Ashworth August 5, 2017 May 10, 2018 Posted intherapyTags: Australia, growth, Insights, life, mental health, Psychology, relationships, success, therapy, treatment8 Comments on Are You Asking the Right Questions In Your Search For a Therapist? Can Psychologists and Psychics Read Minds? Posted byDr Damon Ashworth April 25, 2017 May 9, 2018 Posted intherapyTags: books, character development, Insights, intelligence, Psychology, strategies19 Comments on Can Psychologists and Psychics Read Minds? What Do Clients Find Most Helpful About Therapy? Posted byDr Damon Ashworth June 30, 2016 May 8, 2018 Posted intherapyTags: character development, Insights, Psychology, treatments6 Comments on What Do Clients Find Most Helpful About Therapy?